If you've been injured in an accident or have lost a loved one the stress and pain surrounding such an event can be overwhelming. The Law Offices of Gary C. Eisenberg specializes in making the process as easy as possible for you. We allow you to focus on your recovery and healing while we do all of the heavy lifting to battle the insurance companies to get you the compensation you and your family deserve. Unlike many other firms, at our law firm you will always be able to speak with an attorney and you will always be aware of what is going on with your case. Our philosophy is different. We believe it is mutually beneficial for our clients to be in the loop, aware of what is going on, and we encourage our clients to call with their thoughts and questions at any time. Call our office today so you can begin the road to recovery while we begin the fight to get you the compensation you deserve. We focus a large portion of our practice on helping accident victims recover compensation for their injuries and other losses. Prior to founding his own Calabasas law firm Gary Eisenberg worked as an insurance defense attorney, which means he often found himself on the other side of personal injury cases. After seeing the way that people were treated and becoming frustrated with the industry’s billing practices, Gary decided to switch sides and begin representing the rights of the injured. This experience gives Gary an advantage when dealing with insurance companies, as he knows how they operate and can recognize when they are engaging in tactics that are designed to get victims to settle for less than they deserve. Additionally, he is not intimidated by large insurance companies and does not hesitate to take cases to trial, if it becomes necessary. The Calabasas personal injury lawyers of the Law Offices of Gary C. Eisenberg are qualified to represent the rights of accident victims injured in any type of incident. Insurance companies will often try to force you to settle before you hire an attorney. They will offer you a tiny fraction of the value of your case in hopes that you will not pursue your claim. Consulting an attorney right away will help you gather and preserve crucial facts and evidence, collect important witness information, and protect your rights of privacy. Most importantly, consulting an attorney right away will set you up to maximize your recovery and get the largest possible compensation. We have relationships with top doctors in every field and can get you fast appointments for the best treatment possible. We negotiate on your behalf for the best possible settlement and we're not afraid to take a case all the way to trial to get you the compensation you deserve. You can always talk to your attorney, you won't be passed off to non-attorney "case manager". We make sure you receive payment as quickly as possible once your case has been settled or an award has been made. We make sure your medical bills get paid and will negotiate any unreasonable bills to make sure you retain as much money as possible from your case. We’re a family run law firm and we’ll treat you like your part of our family. We won't run up the costs and expenses of your case. We make sure you get the biggest recovery possible. We will take your call 24/7, and your attorney will be there to guide you through the process. Gary started his career as an insurance defense attorney and can use the inside information and strategies to his advantage to help you get the largest possible settlement or trial verdict. We love helping injured people fight large corporations like insurance companies to help you get the compensation you deserve. At the Law Offices of Gary C. Eisenberg, we take a personal approach to the practice of law while providing solution-oriented legal counsel and aggressive representation to individuals throughout Southern California. The attorneys of the Law Offices of Gary C. Eisenberg work with clients throughout Southern California, including the San Fernando Valley, Antelope Valley, Simi Valley and Los Angeles, Orange, Riverside, San Bernardino and Ventura Counties. The Law Offices of Gary C. Eisenberg is a family-run law firm. Gary’s son Jason joined the firm after being admitted to the California Bar in 2015, his wife Sheri works at the firm in the capacity of office manager, and his nephew Jeremy is the firm’s legal assistant. We take our family-oriented philosophy and apply it to our relationship with our clients. Our attorneys are approachable and friendly and are committed to making themselves available to every client we take. As a client, you will never struggle to get in touch with your lawyer and can expect to be fully apprised of the status of your case. When you need someone to fight for your rights, you can count on the team at the Law Offices of Gary C. Eisenberg. "I was involved in an auto accident and needed an lawyer. I signed with another lawyer ( out of professionalism, I won't mention this Encino lawyer's office). After a couple weeks I knew I needed a lawyer who was hungry and willing to fight for me. I began searching.. I contacted Mr.Gary Eisenberg, after meeting with him, I knew this is the man I needed for my case. Regardless of having to pay a fee for canceling my contract with my previous lawyer, I went with Mr.Eisenberg and I'm glad I did. I received a well deserved generous settlement with the help of this mensch. A big thank you to Gary & his staff. I will refer ALL my friends and family." "It was a pleasure working with Gary! 5 star service from beginning to end. He throughly explained all details regarding our case and all of our options. We were working with another law firm who did not fight the insurance company's for our injuries, we ended up switching to Gary Eisenbergs firm months after and he was able to fight for what was right! Thank you Gary for your help!" "I came to the law offices of Gary C. Eisenberg when I needed legal advice for a car accident. Gary and Jason were very helpful. They took the time to go over all of the details of the case and clearly explained to me what the options were. They go above and beyond to comfort their clients and provide the best service, while getting the most compensation possible for their clients injuries. I highly recommend them for personal injury legal needs." Call the Law Offices of Gary C.
If you have an issue related to personal injury you should discuss the matter with one of the Calabasas personal injury lawyers at the Law Offices of Gary C. Eisenberg today. 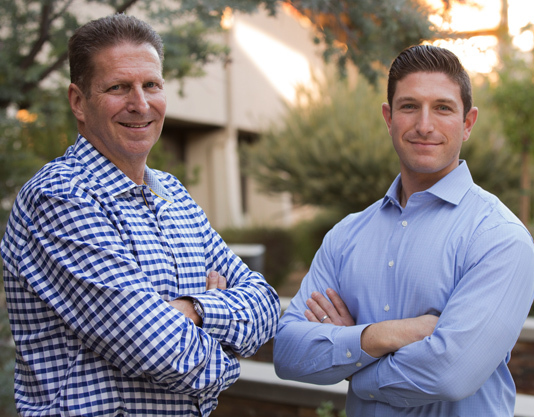 Our father-son team of attorneys is committed to providing our clients with insightful and solution-oriented legal advice and aggressive representation. We offer free consultations and are available 24/7. As our client, you will always get the attention you deserve. Because we are a small firm, we are able to provide a level of communication and access that you would never experience at a larger firm. In short, we treat our clients like family. To schedule a free consultation with one of our Calabasas personal injury lawyers, call our office today or contact us online.